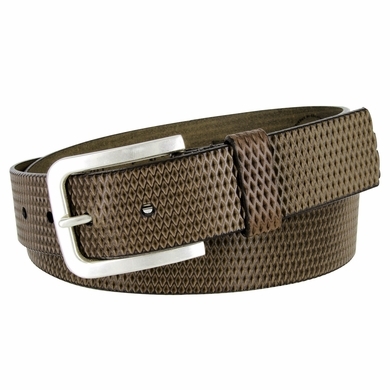 Genuine Italian Saddle Leather Diamond Patterned Casual Belt. 1-3/8" = 35mm wide Diamond Patterened Italian Saddled Leather. Simple Buckle for Easy Access and Maximum Comfort. Brushed Silver Buckle with Matching Leather Keepers.